Mobileye is breaking up with Tesla. 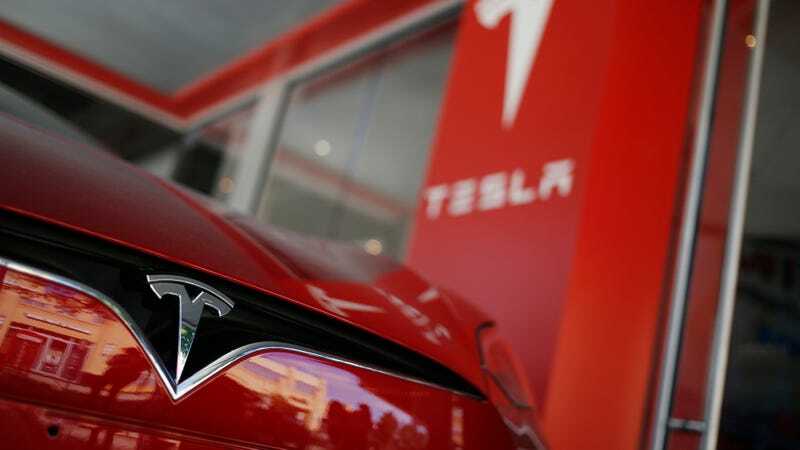 The Israel-based company helps Tesla build its Autopilot driver assistance systems, but on Thursday, the company’s chairman said Tesla was “pushing the envelope in terms of safety” and discontinued its relationship with the automaker. Mobileye’s decision to end its relationship with Tesla comes after several fatal crashes have raised questions about the safety of Tesla’s Autopilot technology. In June, the US National Highway Traffic Safety Administration announced the first fatal crash while a driver was using autopilot mode. This week, reports from China have surfaced that the first fatality involving the car’s Autopilot mode allegedly happened in January of this year, months before US regulators reported the first autopilot death. According to Chinese government news channel CCTV, a 23-year-old borrowed his father’s Tesla and slammed into a road sweeper on a highway about 300 miles south of Beijing. The TV report shows a dashcam of the driver cruising into a huge orange truck, and shows no signs of the driver jolting or hitting the brakes before impact—leaving many to believe he was using Autopilot mode. Former employees have also voiced their concerns about the feature. In July, former Tesla Autopilot engineer Eric Meadows told CNN Money a story about testing the feature in Los Angeles in mid-2015 just before it launched to the public. He said he was pulled over by police on the suspicion that he was driving drunk while using Autopilot mode. He said the car was struggling to make sharp turns on its own. The engineer said he was “pushing the limit” of Autopilot mode and assumed customers would do the same thing. “I came in with this mentality that Elon had: I want to go from on-ramp to off-ramp, and the driver doesn’t have to do anything... The last two months I was scared someone was going to die,” he said. Meadows was fired for “poor performance” shortly after raising concerns. Earlier this week, Tesla released a software update for the Autopilot feature. The update will allow the system to use existing radar sensors to gather more information about the terrain around the vehicle. As Jalopnik reported, the big change will rely more on Tesla’s integrated radar system as opposed to its camera-based setup. Musk went so far as to say it was “very likely” that the new version would have prevented the first fatal wreck in May. Now, it appears that Musk has a whole new problem to deal with.